The breaking point for a community may be one fire or it may be one hundred. A neighborhood's arson problem can range from youngsters setting nuisance to a full blown crisis with a serial arsonist. The scope of the problem may differ but the solution – an arson prevention program is identical.There is no cookie cutter approach for a community to use when setting up a Community Arson Watch Program or any local coalition. 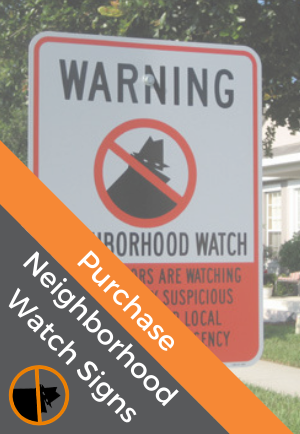 Following the successful Neighborhood Watch five-step program model provides an effective groundwork. The first step is to analyze the specific local problem and collect related data. Strategies that address the problems in a given area must be mapped out. From the outset, it is essential that neighbors work together. This effort provides an opportunity for neighbors to meet and get to know each other, something that has become less common lately. It is crucial to include neighborhood involvement for the process to be successful. In addition to not being familiar with your neighbors, the dilemma is compounded by the fact that many adults in these neighborhoods work multiple jobs frequently with odd hours, making it extraordinarily difficult to schedule meetings and organize events. This environment also makes it challenging for neighbors to get to know and care about one in a way that would encourage them to watch out for each another. Once the neighbors have a connection, the second step involves building a partnership between fire and emergency services, the police and other law enforcement agencies and the residents. This is often the most difficult step to hurdle because there is usually angst between the residents and the law enforcement for the existing crime problem that exists in their community. Both fire service and law enforcement officials must understand the importance of it is essential that officers understand the needs of a neighborhood of working as role models for the neighborhood watch program to be successful. The third step is to assess the needs of a given neighborhood and in the case of arson, how the fire and police departments can work with the residents. Neighbor Watch states, “In many cases, law enforcement and community members do not have the same focus. For instance, law enforcement may be focusing their attention on a problem that the neighborhood is not concerned about, such as attempting to address major crimes throughout the city. On the other hand, community members may be more concerned about crimes such as bicycle thefts or graffiti, which are considered minor from a police standpoint.” An effective Neighborhood Arson Watch program will combine the needs of the fire and police departments with those of the neighborhood on which problems to focus on and the methods used to address them. The penultimate step in setting up a Neighborhood Watch program is choosing and training a dynamic group of volunteers that are led by organized and motivated leaders is critical. If the group leaders are devoid of motivation and organization, the volunteers may be uninspired to participate and quickly quit out of disappointment and frustration. The fifth and final step is to develop meaningful projects specific to the identified problem. Often, after a Neighborhood Watch has addressed its original issue, members lose interest. It is important for leaders to remain passionate. One way to accomplish this is to design new projects so that there is always a goal towards which the team of volunteers is aspiring. Cleaning up the neighborhood by removing all garbage, materials and excess vegetation that are capable of being ignited. Remove all possible sources of ignition such as flammable liquids and unused gas containers. According to the USFA National Fire Incident Reporting System (NFIRS) data and the National Fire Protection Association (NFPA), there is an annual estimated average of 25,328 intentional fires involving vehicles. Most car fires are started to cover up other criminal activity or simply as an act of vandalism. An abandoned car is a target for arson. Secure abandoned and vacant homes which are potential arson targets. Communicate with the owner that authorities are concerned about the vacant home and explain why. Encourage the fire department to conduct frequent fire code inspections. Secure the vacant buildings to prohibit access. Contact public works to disconnect all utilities at the street. This includes natural gas, water and electricity. If there are LPG tanks, they should be disconnected and removed. Secure the building to prevent entry. This may be comprised of additional locks or the boarding up of broken windows or other openings with plywood. Encourage Neighborhood Watch members to patrol these areas and write down descriptions, license plates of suspicious vehicles and potential suspect descriptions. Nearly 70 arsons plagued Coatesville, Pennsylvania from February 2008 through March 2009 with more than half remaining unsolved. Coatesville is a small city of 11,600 residents located on the historic Lincoln Highway, US Route 30 about 45 miles west of Philadelphia. The fires have caused more than $3 million in damage, leaving more than a hundred people homeless and resulted in the death of an 83-year-old woman. Coatesville arson also injured seven firefighters and a member of the fire police who was directing traffic near a fire scene. As a result of these fires the Chester County Arson Task Force was formed. The Task Force is comprised up of representatives from the Coatesville City Police Department, the Chester County Detectives, the Pennsylvania State Police, The Bureau of Alcohol, Tobacco, Firearms, and Explosives, and the Federal Bureau of Investigation. A reward of up to $20,000 was offered for information leading to an arrest and conviction of a suspect, or suspects. Coatesville officials rallied local volunteers to develop a new Neighborhood Watch program. They jump started the program by distributing 800 motion-activated lights, and smoke alarms and batteries to residents. The Neighborhood Watch program and the Task Force instructed citizens to remove trash and debris from the front and back of homes and businesses. Additional recommendations were not to leave out combustible material like wood crates and pallets stating that arsonists use the trash and debris as kindling. They also pleaded with city businesses and homeowners to insure that their properties should be well lit at night. Lights and cameras that cover your property will discourage arsonists and other criminals. They were also told that if you have chemicals and flammable material in your place of business, be sure to properly store them. These materials should also be in a secure place. Other commonsense fire safety advice was issued including installing smoke alarms and having a fire extinguisher on hand. You should have a fire safety plan for your home and business, and you should hold drills at least four times a year.